Legacy Heating & Air Conditioning, LLC is proud to serve the Fern Creek community! 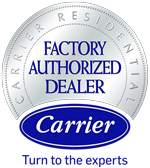 About Fern Creek, KY - Happy to be your hometown Heating & Air Conditioning Contractor! A historic community situated in southeaster Jefferson County, Fern Creek was annexed to Louisville as a merger between the city and county’s unincorporated communities. With an estimated population of more than 20,100 residents, it was previously a census-designated place, but now is recognized as a neighborhood of the city of Louisville. Native Americans were the first settlers of Fern Creek. Established in the late 1700s, it was named for the abundance of ferns growing along the lakes and streams in the area. The town was first called ‘Stringtown as the buildings and homes of settlers were conveniently strung out along Stage Road, which connected the farming community to Louisville. The area was primarily agricultural due to its abundance of water, and with a market ready for its products in Louisville, the community steadily grew. A log cabin, built in 1792, is the oldest structure in the area and was used a school where grammar, spelling and arithmetic were taught. From the 20th century until now, Fern Creek has developed into a suburb of Louisville. As of today, it is one of the most beautiful areas in the city to own a home with its gorgeous neighborhoods and serene natural surroundings. Homebuyers have a variety of housing options to choose from, including medium-sized to large single-family homes as well as high-rise apartment complexes. For recreation, residents of the community head to Fern Creek park where they have access to plenty of outdoor activities. There are various local restaurants spread throughout the city, offering many diversified culinary experiences. Furthermore, Fern Creek Peddlers Mall provides ample options under one roof. As far as education is concerned, Fern Creek High School, Jeffersontown High School, Ramsey Middle School and Wheeler Elementary mainly serve the community. There is no university located within the limits of Fern Creek; however, students usually commute to the nearby city of Louisville to gain higher education from the University of Louisville. Fern Creek receives 47 inches of rainfall and 10 inches of snowfall per year. With the average high in the summer season around 88 degrees, it is important to have a reliable air conditioning system in place to lower the temperature in your home. Moreover, since the mercury drops as low as 26 degrees in the winter season, it is highly recommended that you install a heat pump to make it through the cold season.